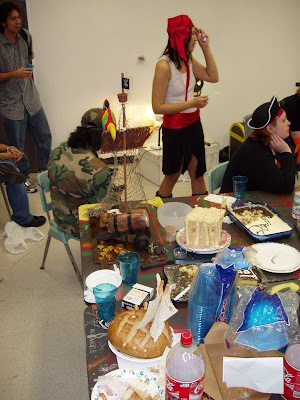 these are pictures I took in 2005 at a pirate party. 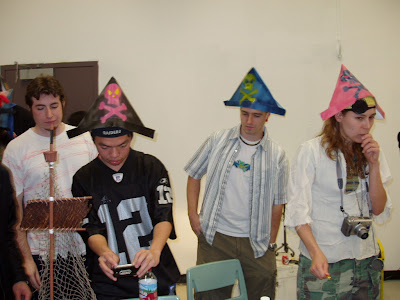 it was actually our midterm for our VIS 111 class. This is one of the reasons why I decided to become an artist. 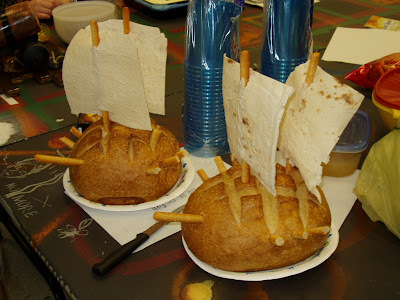 I made these boats out of bread. I think I got an A.
Shawn. 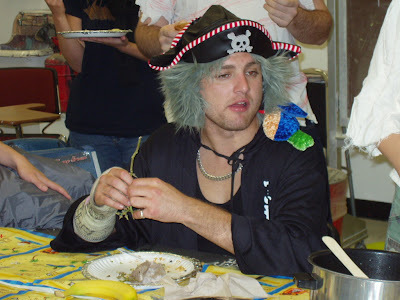 I wonder what he's doing now. 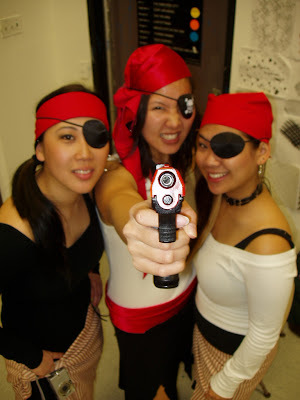 the woman on the right was my TA, Kia. I think she's super famous now. the guy next to her is my current roommate, Tom McDermott. Tom and I collaborate on a project called inLimen. it was a grand event.